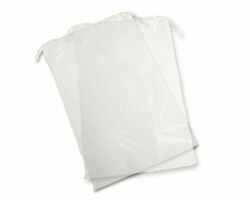 Saket Company offers plastic clear drawstring poly bags to keep contents secure inside. Our plastic drawstring bags are easy to open and are an inexpensive alternative to cloth drawstring bags. Use this bag for parts, personal belongings, retail merchandise, products, manuals, and more. The double pull functionality makes it easy to tie or hang onto machinery or equipment. By having a double drawstring functionality on the bag, it not only lets the user to easily open and close the bag, but it delivers a secure closure and a convenient means of hanging the bag. These bags are available in both clear and clear with a white write-on block for easy product labeling and identification. Our drawstrings bags are made from seamless tubing and are bottom sealed for added strength, having no slits or side seals. This bag is an excellent way to hold multiple items. 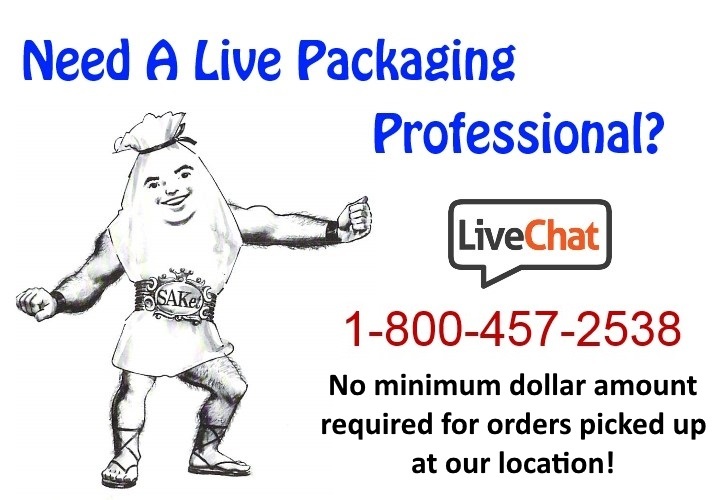 Our double drawstring poly plastic bags meet FDA requirements for use in food applications. Our Clear Drawstring Bags are very competitively priced and of excellent quality. Please feel free to call or email us with any questions!